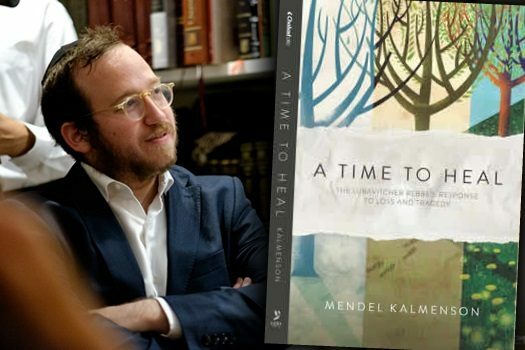 A Time to Heal, Rabbi Mendel Kalmenson’s rendering of the responses of the Lubavitcher Rebbe to tragedy and suffering, has received the “Best Book Award” under the general category of religion in the “Best Book Awards” international competition. A beautiful meditation and compilation, this book explores numerous instances throughout the Rebbe’s four decades of leadership, where he offers insight and consolation to individuals and communities in their greatest moments of need, highlighting his unique approach that incorporated both staunch devotion to G‑d and deep compassion for humankind. Whether dealing with the tragic, accidental death of Ariel Sharon’s 11-year-old son Gur or the unspeakable 1956 massacre in Kfar Chabad, Israel—or even when discussing with former Israeli Prime Minister Moshe Sharett a religious response to the Holocaust—the Rebbe had the ability to console and validate the anguished feelings and sufferings of those in great pain. 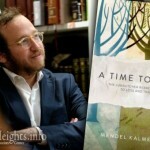 “A hallmark of the Rebbe’s approach to the world was an almost stubborn optimism in the face of tragedy—a refusal to live in fear or to see our world as anything but inherently good,” writes Kalmenson in the book, which was produced by Chabad.org and published by Ezra Press, an imprint of Kehot Publication Society. A resident of London, Kalmenson is a columnist for Chabad.org, and rabbi and executive director of Chabad Belgravia, where the book was launched in the fall of 2015. Dr. Mark Glaser—emeritus chief of cancer services at Imperial College and honorary consultant in clinical oncology at Imperial College hospitals, who taught at Harvard and Yale universities, and was a research fellow at Stanford University—spoke at the launch. 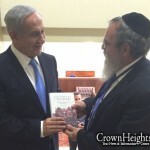 He praised the book, saying that he feels as if he has gotten to know the Rebbe, whom he referred to as “undoubtedly one of the greatest rabbis of the 20th century,” through Kalmenson and his teachings. 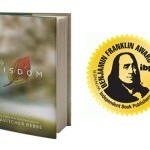 “This book has been written with diligence, authority and exemplary literary style. It will be an enabler for those who need to change their lives and get through their tribulations to be granted a perfect healing for mind, body and soul,” said Glaser. A Time to Heal quickly gained popularity and was out of print within months of its release. A second edition has been printed and can be purchased on Kehot.com.